Telangiectasias and spider veins are groups of tiny blue, red or purple blood vessels that are commonly located just under the skin on the body and face. 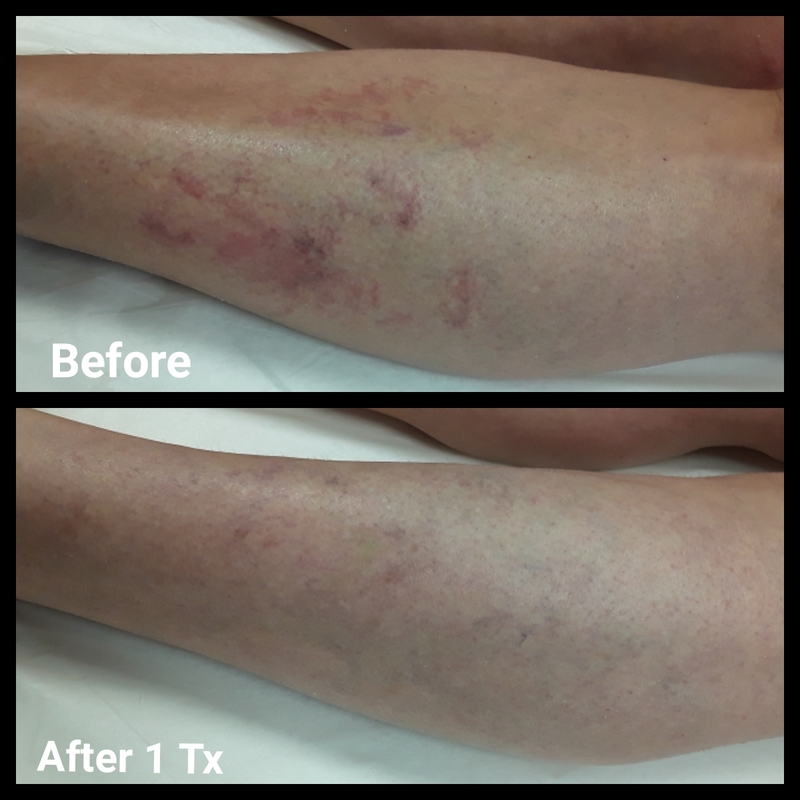 Our Fotona ND:Yag laser vein treatment safely treats the small blood vessels that are superficially located and are less than 1mm in diameter. 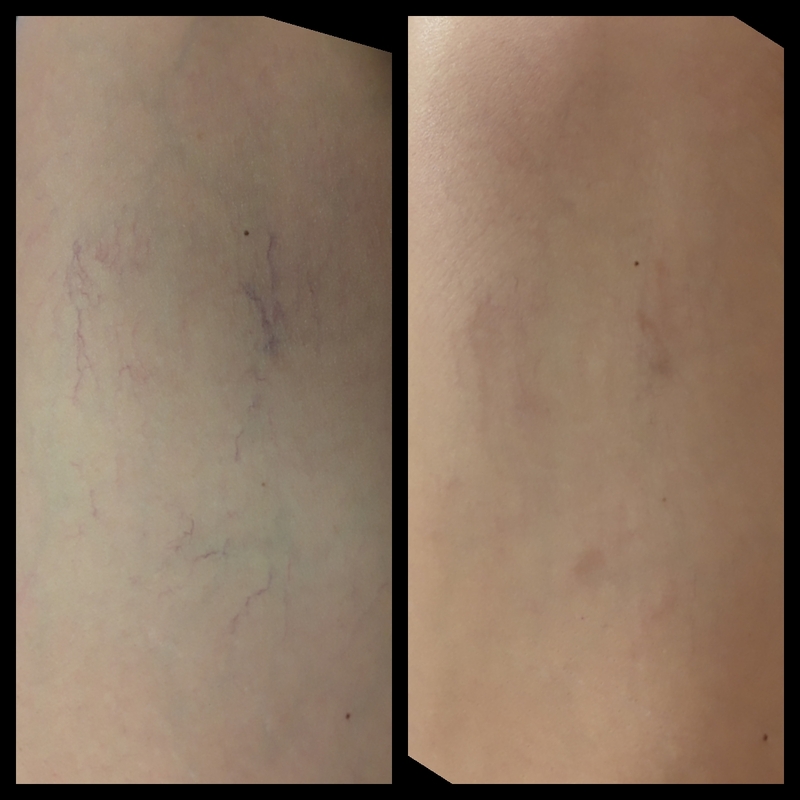 Some larger, deeper, blue bulging vessels and vericose veins are not suitable to be treated with a laser and may need a treatment called Sclerotherapy. Common causes of spider veins are pregnancy, age, family history, obesity, and sun damage. Rosacea is a harmless skin condition in which persistent facial redness occurs, commonly in the nose and cheeks. 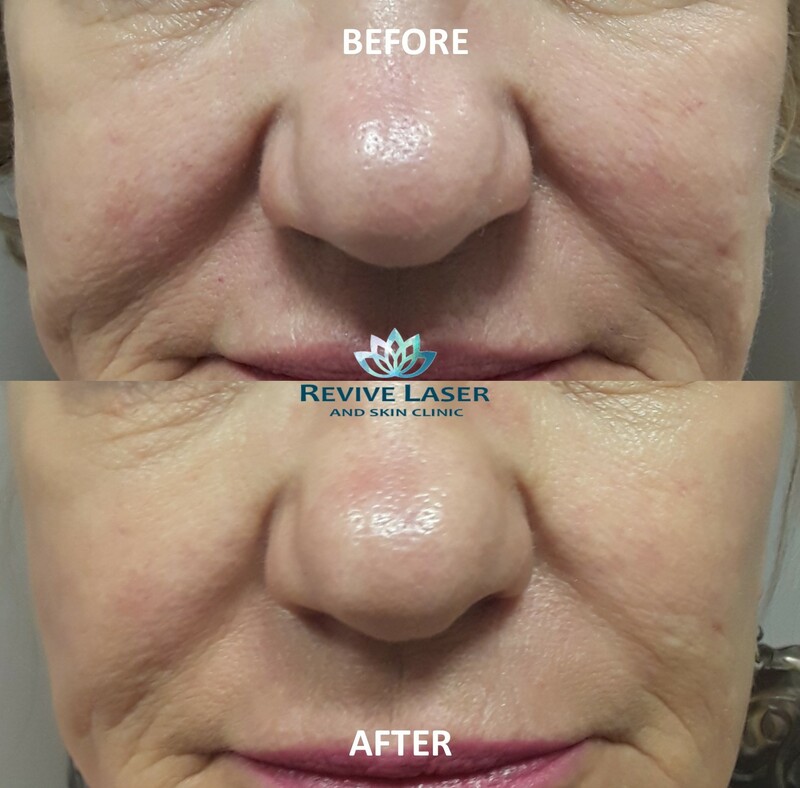 The redness is often caused by swollen or broken blood vessels and can be safely and effectively maintained with ongoing laser rosacea treatments. How Does a Laser Vein TREATMEnT WORK? The laser beam targets the hemoglobin (blood) by passing through the outer layer of skin, leaving it unharmed. The targeted vessel absorbs the energy delivered by the laser and the heat causes the blood within the vessel to coagulate (clot). Over the next few weeks, the treated veins and capillaries will slowly be reabsorbed by your body and disappear. You will see a tremendous improvement with just one treatment, however depending on how your body responds and how many vessels need to be treated, you many need more than one treatment. When the pulse of energy from the laser is delivered it may feel like a mild snap of a rubber band on your skin. We use a lot of cooling before and after the treatment to keep the client comfortable. We can also apply a mild topical numbing agent which is applied before the treatment if clients have a high sensitivity to the discomfort. Most clients are able to tolerate the treatment quite well. Some redness can form at the treatment site, as well as mild swelling which will dissipate within 24-48 hours. The treatment of larger leg veins can sometimes trigger bruising, which is completely harmless and will fade over the next few days. Touch up must be completed within 4-8 weeks of the initial laser vein treatment.